Curls and waves are now the movement, featured everywhere from the world’s leading fashion magazines to blogs and social media, and worn by key influencers and street-style stars! Schwarzkopf Professional understand that textured hair is more than just a trend, it’s a way of living! So, it’s time to celebrate every hair texture with Mad About Curls & Waves! Mad About Curls & Waves is the professional holistic care and styling regime dedicated to respecting each and every texture type, for gorgeous, lasting waves and curls that you can be truly proud of. It provides hairdresser and their clients effortless care routine in-salon and at home. Perfect for everything that curls - waves, curls, rings, coils and afro. Provides gorgeous, long-lasting curls and waves that will be stronger, more flexible and shiny. One in two women across the world have curly or wavy hair. But neither woman has the same wavy hair. 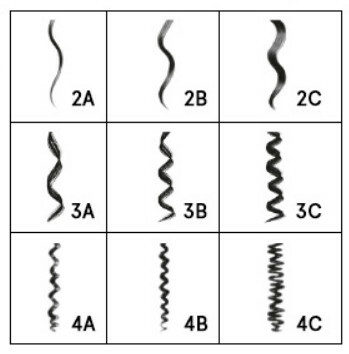 Each hair has unique characteristics – shape, type, density, thickness, length, dryness – influencing its behaviour. Furthermore, curly hair often encounters two different textures, with the hair tighter at the root and looser at the ends. And it all affects their care. Hairdressers can now become Curl & Wave Specialists, and clients can enjoy the benefits of effortless care and styling routines – both in-salon and at home → Be Curl & Wave Specialists!